The QTRACE® Genotyping Plates, Monitoring Assays and Software meet the needs of any research application that requires highly sensitive detection and quantification of the genome of one individual in the background of another individual or individuals. A genetic chimera is an organism with two or more genetically distinct cell populations, i.e., cell populations with different genomes. Chimerism can arise in humans through a variety of means, such as inheritance, maternal-fetal stem cell trafficking during gestation, blood vessel sharing in fraternal twin gestation, blood transfusions, bone marrow transplantation, cord blood transplantation, and solid organ transplantation. The presence of two distinct human genomes in a sample can also occur simply through the mixing of human cells from more than one individual, for example, when two cell lines are cross-contaminated, or in forensic tissue samples. The QTRACE® Analysis System uses qPCR technology and consists of DNA genotyping plates, 46 individual quantification assays, one reference assay, and QTRACE® Software. The QTRACE® INDEL Assays are able to differentiate, and then quantify, the contributors to a human-mixed DNA sample. Each of the 46 assays is designed to a distinct bi-allelic insertion/deletion (INDEL) or copy number polymorphisms in the human genome. 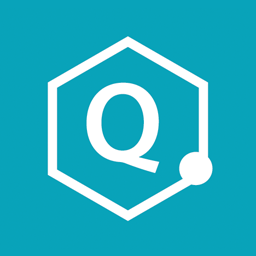 The QTRACE® Software guides the user through reaction set-up for both genotyping and quantification and analyzes the collected data. The procedure for determining the level of a genome of interest in a sample consists of two parts: a genotyping test and a quantification test. In the initial genotyping test, the DNAs that comprise a mixed DNA sample are analyzed using a QTRACE® Genotyping Plate, to identify all of the informative assays for the samples. An informative assay is an assay for a marker allele that is present (positive) in one individual genome and absent (negative) in the other genome. The genotyping plate contains a duplicate set of assays: the 46 quantification assays and the reference (RNaseP) assay that serves as both a positive control and a No Template Control (NTC). In the monitoring (quantification) test, one or more of the informative assays identified in the genotyping test is used to quantify the DNA of interest in an unknown sample relative to a reference sample (calibrator). Any of the informative assays identified in the genotyping test can be used to perform a quantification test. The amount of the genome positive for the informative allele in the unknown sample is determined relative to the amount of that same genome in the reference sample, and the result is expressed as a percentage (ratio). For example, a result of 5% indicates that there is 5% of genome A in the unknown sample relative to the reference sample. The simplest case assumes that the reference sample has 100% of genome A. The informativeness of a multi-locus genotyping panel is a measure of the probability of finding at least one informative assay between two individual genomes (or DNA samples). Informativeness is calculated from the population frequency estimates of the alleles used to make up a multi-locus genotyping panel, and thus differs between ethnic populations. In addition, the informativeness of any panel of polymorphic loci is higher in unrelated individuals than in related individuals. The QTRACE® Software was designed specifically for the QTRACE® INDEL Assay Set. The software provides a streamlined workflow for both the genotyping and quantification tests. The software guides the user through assay setup, performs data analysis, generates results reports and stores the data collected for samples over time.